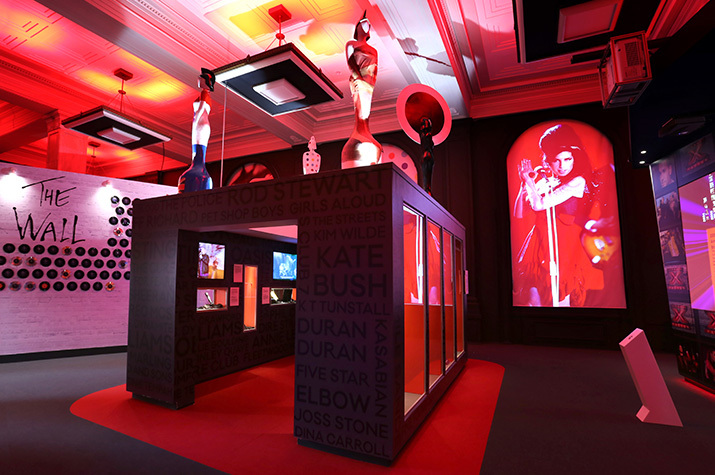 The British Music Experience (BME), a new attraction dedicated to popular music honouring the global influence and history of British music and artists, opened in early 2017 and is in full swing at the Grade-II listed Cunard Building in Liverpool. 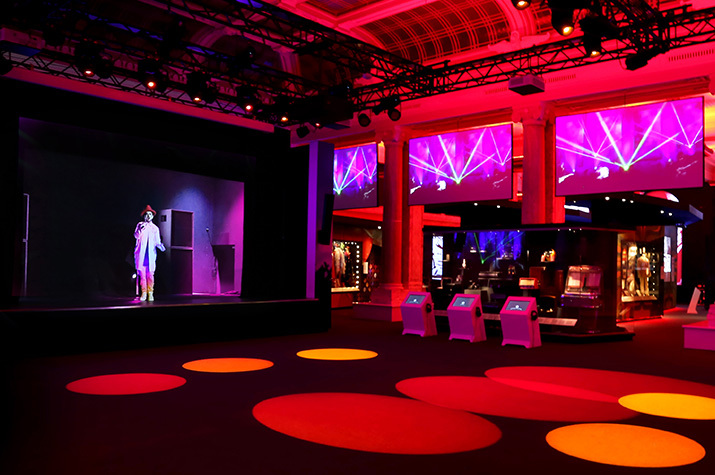 At the heart of the attraction, the main stage show is powered by a 7thSense media server featuring a specially produced digitally-projected performance by music legend Boy George, and a large-scale stage hologram. 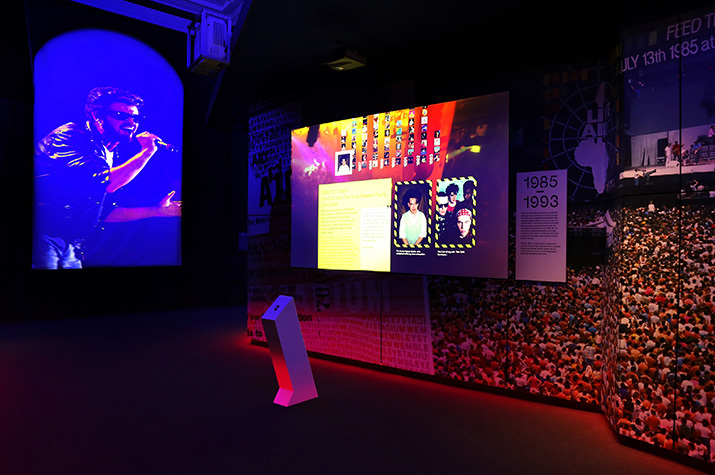 The BME was housed inside London’s O2 venue between 2009 and 2014 – while a few items from the original site were recyclable, the new permanent home and themed zones of the BME have seen a full technology and content refresh. 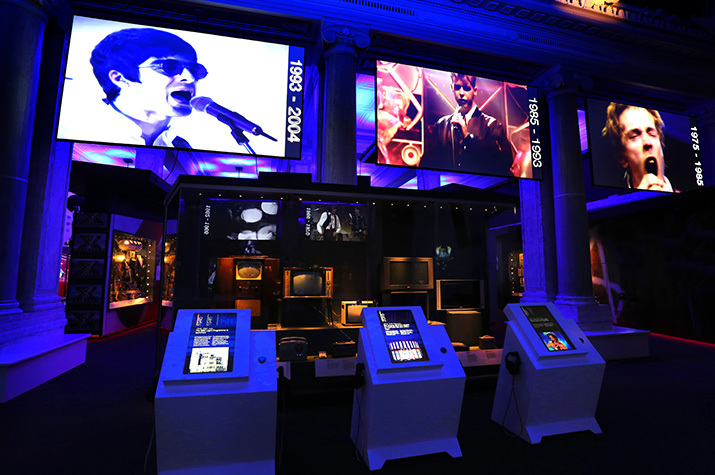 Visitors are taken on a chronological journey of British music history from 1945 to the present day as told in eight state-of-the-art interactive exhibition galleries. Each of the galleries features large scale, projected interactives, allowing visitors to explore the artists of that period in greater detail. Five metre high projections fill the arched windows at the back of each zone, featuring iconic artists of the period. Music of course plays a big part throughout the attraction and a huge amount of effort was put into achieving a seamless audio transition from one gallery to another. Visitors also get the chance to take something away from the experience, in the Gibson Interactive Studio. Here they can try out a wide range of guitars, drums, synthesisers and keyboards, emailing themselves the results of a session.